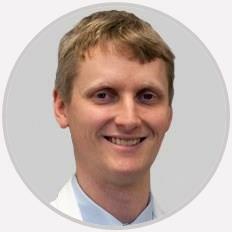 Dr. Matthew Currie is board-certified by the American Board of Ophthalmology. His practice of comprehensive eye care includes diseases and surgery of the eye for adults, including glaucoma, diabetes, and cataracts. He has a special interest in cataract surgery. Very professional. Easy to talk to and understanding. Thorough and explains his diagnosis well. Dr. Matthew Currie is a graduate of the University of Notre Dame. He received his Doctor of Medicine at Rush University in Chicago, IL, and completed his ophthalmology residency at Saint Louis University in St. Louis, Missouri. Dr. Currie is board-certified by the American Board of Ophthalmology. He is a member of the American Academy of Ophthalmology and American Society of Cataract and Refractive Surgeons. His practice of comprehensive eye care includes diseases and surgery of the eye for adults, including glaucoma, diabetes, and cataracts. He has a special interest in cataract surgery.